Ready to get on this runway to retirement? There are certain fields that Muraly and Vibhu feel more people need to take into account before retirement. CHENNAI: With changing times, more people have started opting for an early retirement — either to follow their dream occupation or goals, or due to job-related strains within their chosen industry. To help such individuals, financial consultants ‘ithought’ held a workshop titled Runway to Retirement at their offices in Anna Salai on December 15. 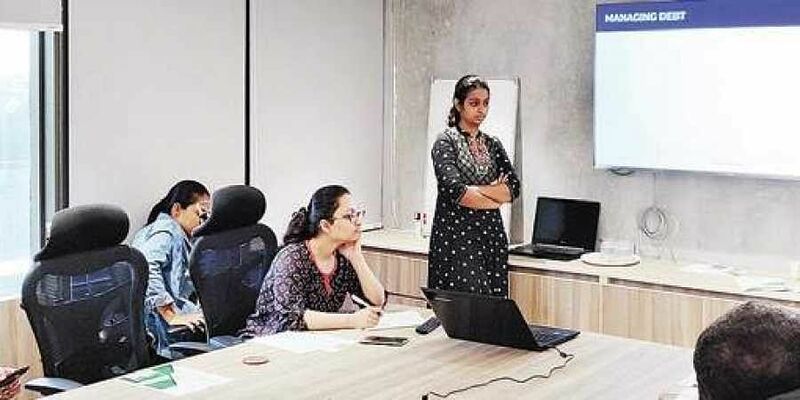 According to Gayathri Muraly and Samyuktha Vibhu, the financial planners who hosted the workshop, the reason for early retirements was due to the changing opinions on retirement itself. “With job security in certain sectors such as the IT sector being uncertain, a lot of people are thinking of retiring early. With more opportunities, many want to do something less traditional. In the current environment, all of that is possible,” said Muraly, adding that stress is another large reason of early retirements. The workshop was a part of their weekly workshops on financial education, and was targeted towards individuals between the age group 35-55, as many people are interested in retiring before 50. One such individual is 44-year-old Vasu Devan, an IT professional, who was present at the workshop. “I want to travel and learn music after retirement. However, I want to be able to leave my job with financial options. This workshop has been a wake-up call because I need to think more long term with respect to my planning. I must account not only for money that I need but for the additional expenses as well,” he said. The workshop recommended balancing capital and managing debt in a long-term manner. Additionally, the workshop recommended taking healthcare risks into account and structuring outflows, all while recommending that participants look at investments and closure of debt before retirement. There are certain fields that Muraly and Vibhu feel more people need to take into account before retirement. “A lot of people forget how important insurance is, be it life or health insurance. It can make or break your retirement plans. It is a cushion if something sudden and unexpected would happen,” said Muraly, adding that early investments are also crucial.